Chatbots might sound like a futuristic notion for Realtors®, but according to research, chatbots are becoming extremely important for all businesses. Across the world, there is a great deal of enthusiasm that surrounds the chatbot use. So what exactly is a chatbot and how does it work? In this article, we feature the reasons why chatbots for REALTORS® websites is a good strategy. But first, we will seek to elaborate what a chatbot is and how it works. Lets rock and roll! A chatbot can be defined as a software agent that communicates and collaborates with human users through text and using the natural language. A Chatbot is designed to learn and interact with human beings, and most interesting is the fact that to do so it uses the natural language. Therefore, we can say that through artificial intelligence and machine learning, you are able to offer various services using a chatbot on your website. 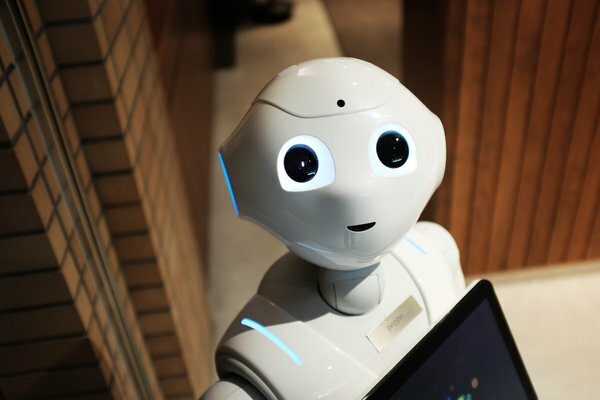 Examples of tasks that can be handled by a chatbot include answering to frequently asked questions, processing payments and also engaging new website visitors. There are various advantages that REALTORS® enjoy using AI-powered Chatbots on their website. Before we explain how you can include an AI-Powered Chatbot on your website, let’s first check out some advantages of including the Chatbots. The first reason why REALTORS® need Chatbots is the ability to offer help desk services faster and in real time. Think of the customers who will contact you past business hours. Responding to their queries is part of brand management that makes you stand out as a REALTOR® who cares about customers concern. The best approach for achieving this kind of service with no waiting time is incorporating a Chatbot in your website. When real estate customers try to contact you through the website messenger feature and you fail to respond within five minutes the customer will jump to the next available option. This is a lost opportunity. However, when you use an AI-powered Chatbot to respond to the client, there are higher chances that you will retain this client. The Chatbot technology for REALTORS® has helped many real estate companies to generate more leads. So how does this work? Let’s say there is a client who is searching for apartments to buy in Vancouver. You have listed several available apartments on your website, but since you are out of office, you are unable to respond to the customer queries about them. In such a scenario since you already have a Chatbot, it can interact with the client, get their information, and send them an email with more information. The email is machine generated since the software already has set of guidelines on the questions to ask and has the ability to come up with an appropriate response. This is a new lead that the chatbot has helped you to generate and therefore you can follow up with the customer at a later time. The modern day web designers and web developers are under constant pressure to come up with websites that offer a high quality user experience. This is because UX has become a crucial component in marketing a business. There are various features that help improve user experience and Chatbots is one of them. Therefore, Chatbots is a good example of how REALTORS® can improve customer experience. Are you interested in including a Chatbot on your website? There are various options for REALTORS® who want to include a chatbot on their website. Let’s have a look at some of the attractive options that you can sign up for. ChattyPeople-This is one of the best chatbot platforms for REALTORS®. ChattyPeople allows you to subscribe for free to get started. It supports your chatbot needs on multiple platforms including Facebook, websites, Skype, Wechat, etc. MEOKAY-this is another top tool that REALTORS® can use to have a Chatbot on their website. Without a few minutes, you can have the chatbot created on your website. You will get a free trial for the first month and then you can subscribe to one of their plans. Smooch-this is another alternative for Real estate agents who want to have a chatbot on their website and other digital media. The service is on a subscription You can click on the link that is provided to see some of the plans available. AI– a personal chatbot assistant to take care of your meetings. This helps in determining the best time to schedule the meeting and adds an invitation to your calendar. They will give you a free trial and then you can purchase a paid plan as per your needs. Apartment Ocean– this comes as a widget and can be installed. It helps in interacting with your clients. Those are some of the top options any REALTOR® can use to benefit from a chatbot. This will ensure that your customers will be engaged when they land on your site and that you are generating new leads for your business. There are thousands of businesses in various industries that already have a chatbot incorporated into their website. These include companies like Coca-Cola, KLM the Dutch airline, 1-800 Flowers, and Snap-Travel. Companies in the Real Estate industry can also follow these successful examples.